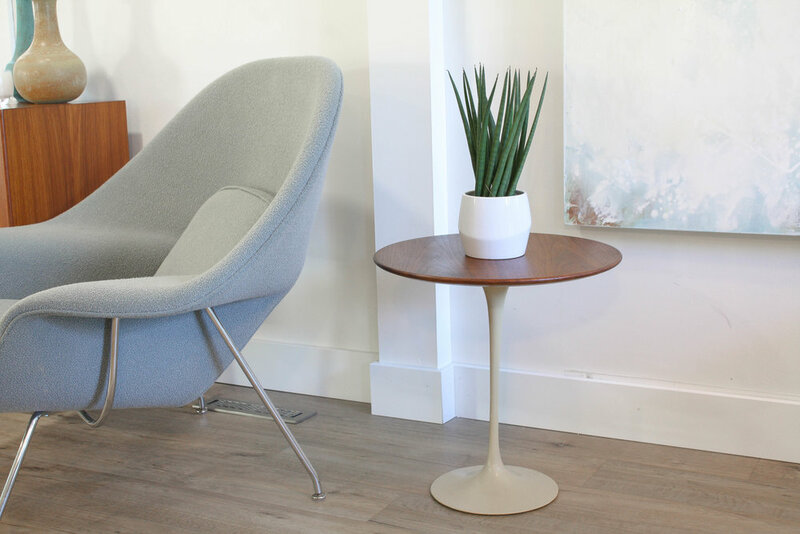 Featured here is an Eero Saarinen Tulip side table for Knoll with a beautiful walnut top. The metal base and top show beautifully with very few signs of use. 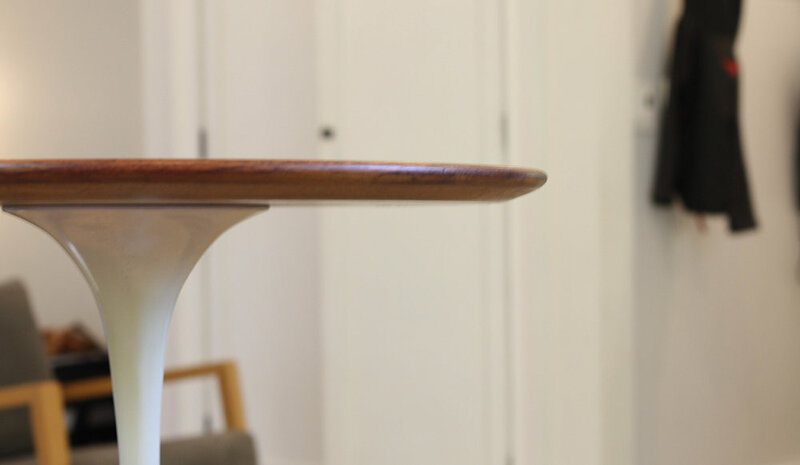 This small table is sure to make a big statement in your space. A few imperfections to the edge of the base, walnut top is virtually mint. Knoll sticker in the underside dates this particular table to February 1980.